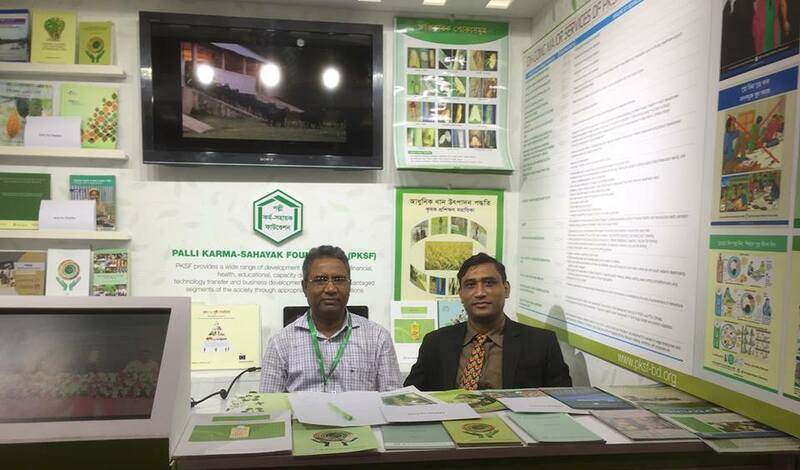 PKSF participated in Bangladesh Development Fair (BDF) 2015 that was held on 15-16 November, 2015 at the Bangabandhu International Conference Center (BICC) in Dhaka. Economic Relations Division (ERD) of Government of the People’s Republic of Bangladesh organized this Fair. The Fair was inaugurated by the Honorable Prime Minister Sheikh Hasina, Government of the People’s Republic of Bangladesh. In the Fair, sixteen of different Ministries/Divisions/organizations of Govt. of Bangladesh, sixteen of Development Partner Organizations and eight of different NGOs as well as Private Organizations as nominated by the ERD had taken part in festive mood. 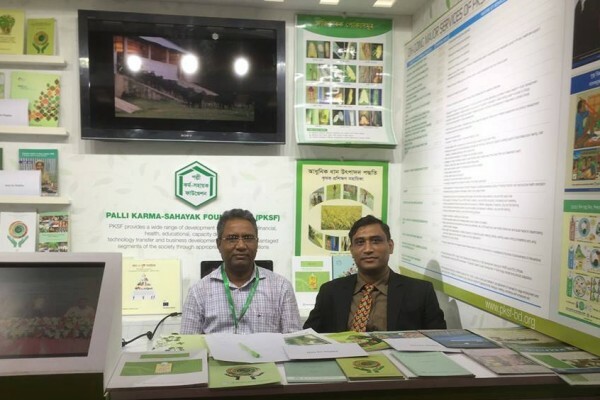 Like other organizations PKSF participated in the Fair and took the opportunity to showcase its ongoing activities for poverty alleviation and valuable experience on the multi-dimensional aspects of poverty. Wherein, PKSF displayed an info-graph based on the theme titled “Peoples partner for sustainable program” with all of the information of its ongoing activities which included Microfinance, ENRICH- a new holistic PKSF approach, Community Climate Change Project (CCCP), Social Advocacy and Knowledge Dissemination (SAKD), Social Safety Net etc. Along with the info-graph, different publications and newsletters, Documentaries were also showcased in the stall during the Fair. Honorable Prime Minister visited PKSF stall alongside other stalls after the inauguration of the Fair.